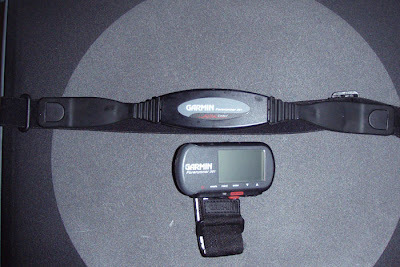 My fuel belt and of course it should be Nike - The Number One Fan. I wear it for my long run. Three bottles - 2 fill with sport drink and 1 bottle of water. 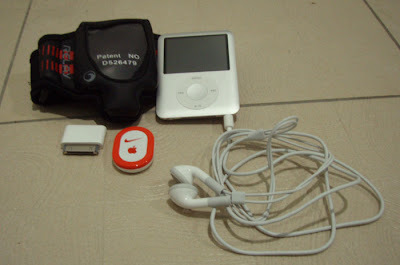 Ipod Nano 4GB with Nike+ plus. With Nike+ plus, I can listen to the music and at the same time keep track of the distance, speed and time of my running. The red round thing is the pod sensor where you put it inside your running shoes - the Nike+ shoes like my Nike Air Structure Triax 10+ or if you don't have a Nike+ shoes, you can buy its shoe pouch and tie it together with your favourite shoes. My morning drinks. 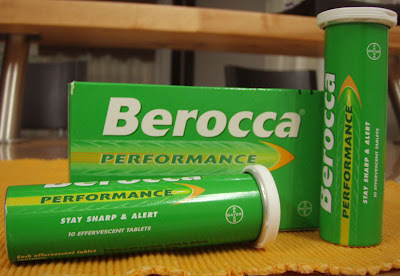 It has Vitamins B1(15mg), B2 (15mg), B5 (25mg), B6(10mg), B8 (150mcg), B12 (10mcg), C (500mg), Nicotinamide (50mg), Folic Acid (400mcg), Calcium (100mg), Magnesium (100mg) and Zinc (10mg). Word of advice - After drinking this, your urine will turn deeper yellow. This is due to Vitamin B2 being excreted from the body. This is harmless and will last 3 to 4 hours. 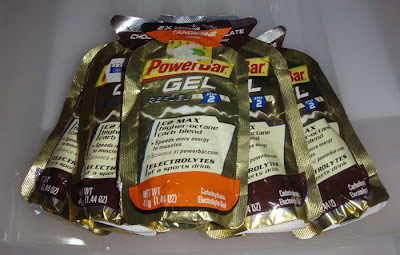 My snack bar. 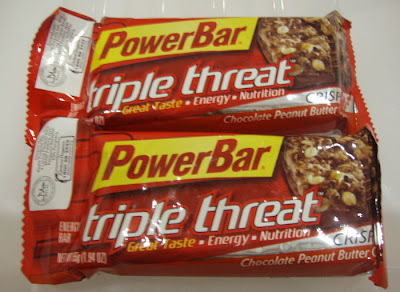 This is my last two bars. It's not sold here in Brunei. Have to buy from Miri or KL. My energy drink. 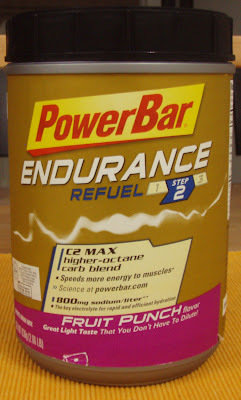 I usually drink it before, during and after the run eventhough it is recommended during the activity. Other than this I drink 100plus, Gatorade and H2O. 16 songs arrange in order of slow beats to fast beats. 1oKm songs for 1:07:16 hours. Some songs are recommended via Nike+ athletes and some are from my selections.